For crafters, small-business owners and others who regularly ship fragile items, packing peanuts are a shipping supply staple. 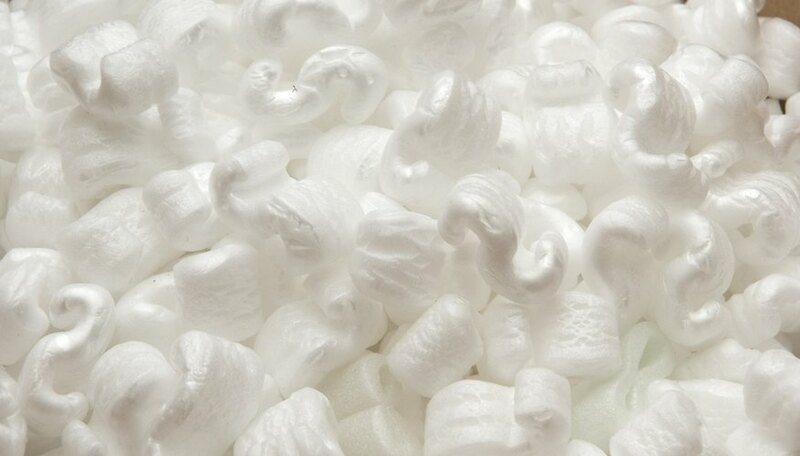 Dealing with packing peanuts on a regular basis can be aggravating without a systematic method for dispensing the packing materials. For small volume users, the amount of materials used typically does not warrant the expense of a commercial dispenser. In such cases, a basic do-it-yourself packing peanut dispenser is an economical option. Use a box cutter to cut a hole in the bottom of a plastic storage bin. The hole should be approximately 1 inch smaller than the dryer exhaust hose. Insert the dryer exhaust hose through the hole in the storage bin. Pull only 1 inch of the hose into the storage bin. Cut three small slits in the end of the dryer exhaust hose, where it enters the inside of the storage bin. Press the resulting tabs flat against the bin and secure them with glue. If necessary, place a heavy object, such as a book, on the tabs while the glue dries. Cut a section of floral wire equal to the circumference of the dryer hose, plus 4 inches. Using a leather punch tool, punch two small holes in the storage bin, and feed either end of floral wire into the holes. Twist the wire ends together inside the bin. Insert the free end of the dryer exhaust hose through the wire loop under the bin. Fill the bin with packing peanuts, and place it on a shelf above the packing area. When needed, slip the hose out of the wire loop, place it over a shipping container and shake out the peanuts. To help prevent static buildup, periodically spray the interior of the dryer hose with hair spray or use static-free peanuts. An old knee-high stocking slipped over the end of the hose can prevent peanuts from spilling out when not in use.